YO DJ PUMP THIS PARTY!!! As a stay at home mother Megan (Hehir) Marshall has a lot of free time on her hands. Over the past year she said she has discovered why she is here on this earth: to clean the dishes and do the laundry. But when she is not doing the chores she said she has been exploring her love for music. 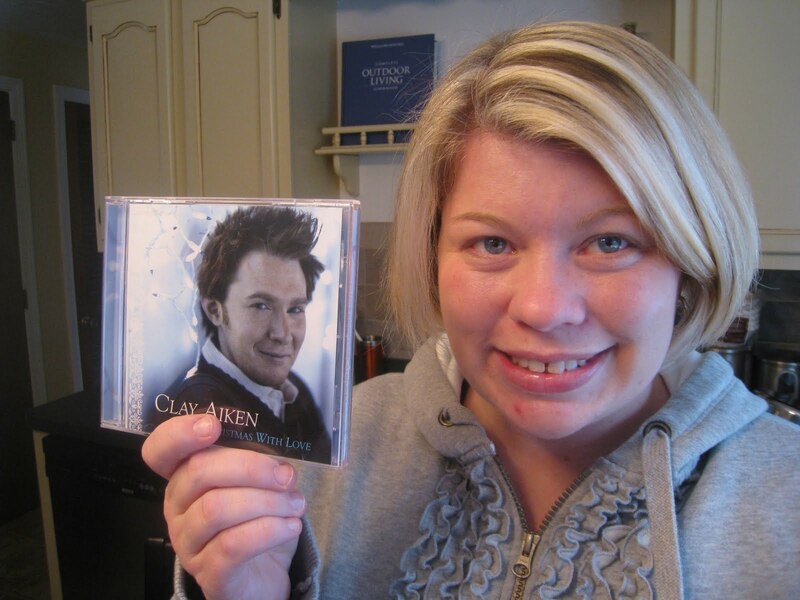 “At the end of the day when all is said and done I keep returning to the greatest artist of all time: CLAY AIKEN,” she said with tears in her eyes. Due to her unrequited love for this man, Meggady has lobbied her class president to play CLAY AIKEN’S entire criterion collection at our reunion. And your class president has complied. “I’m not dumb. I listen to the people. If it’s CLAY AIKEN they want, then it’s CLAY AIKEN they will get,” Chico said in a press release. So put your dancing shoes on everybody. On Saturday, November 27 we will be playing CLAY AIKEN and CLAY AIKEN only throughout the entire Sweet 16 Reunion. I should be more careful of you in my kitchen with a camera. And for the record – I am no stay at home Mom – dishes and laundry are a rarity!